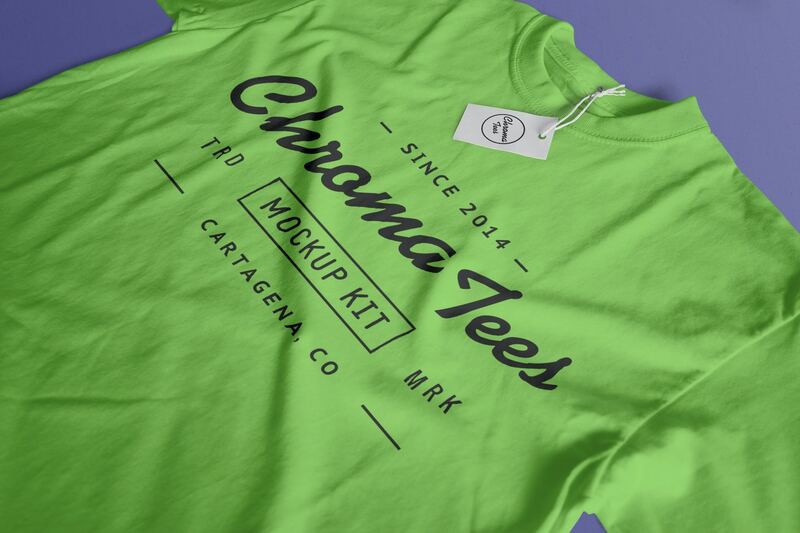 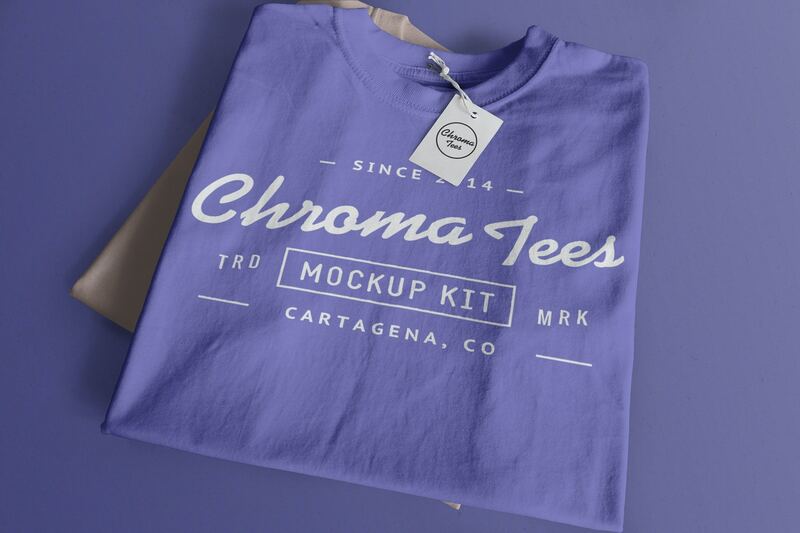 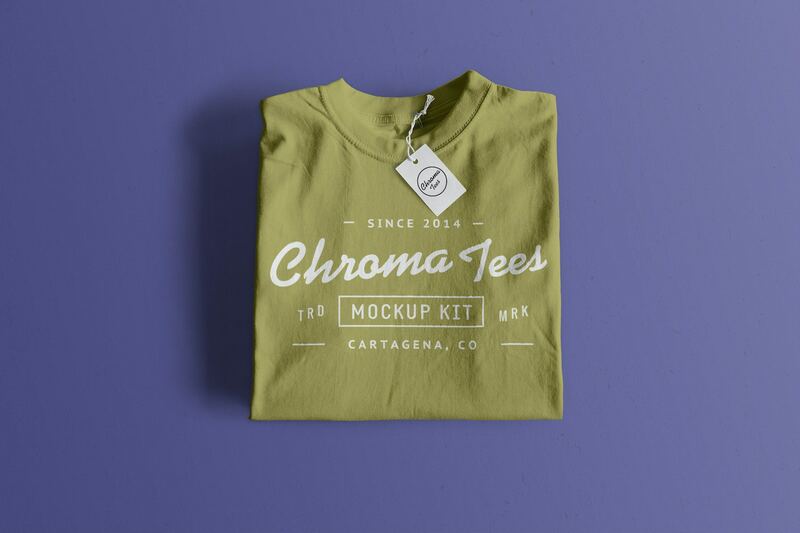 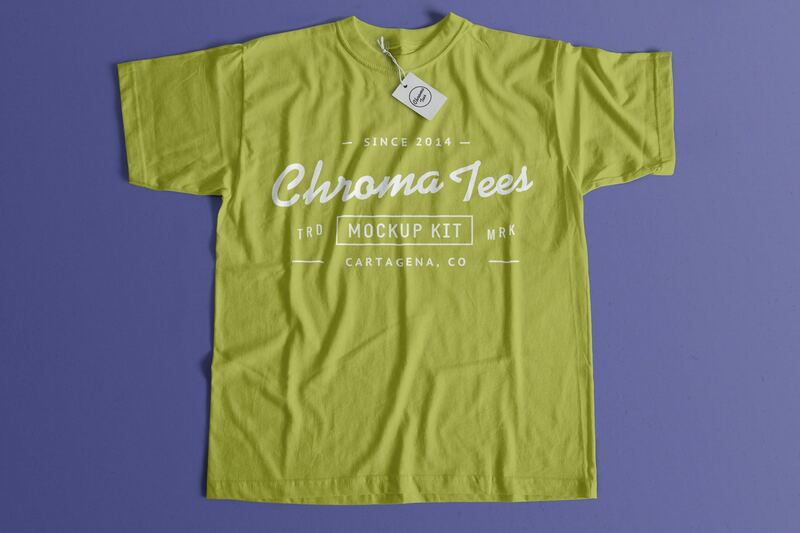 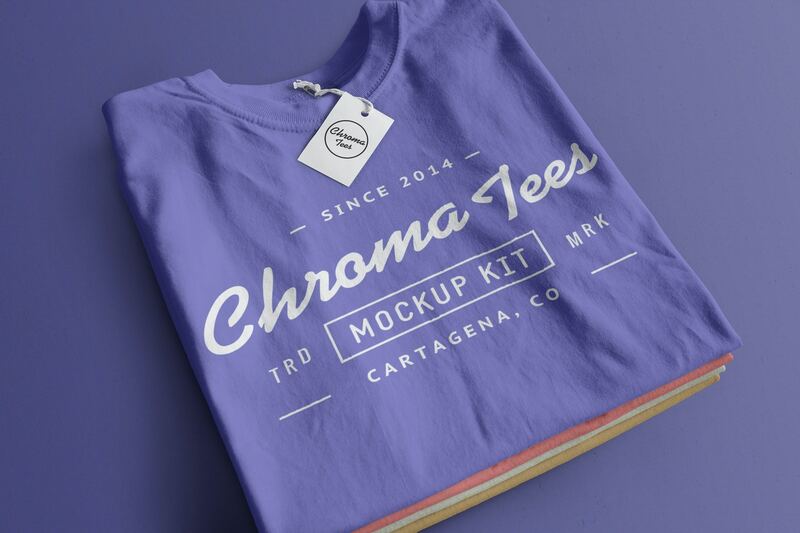 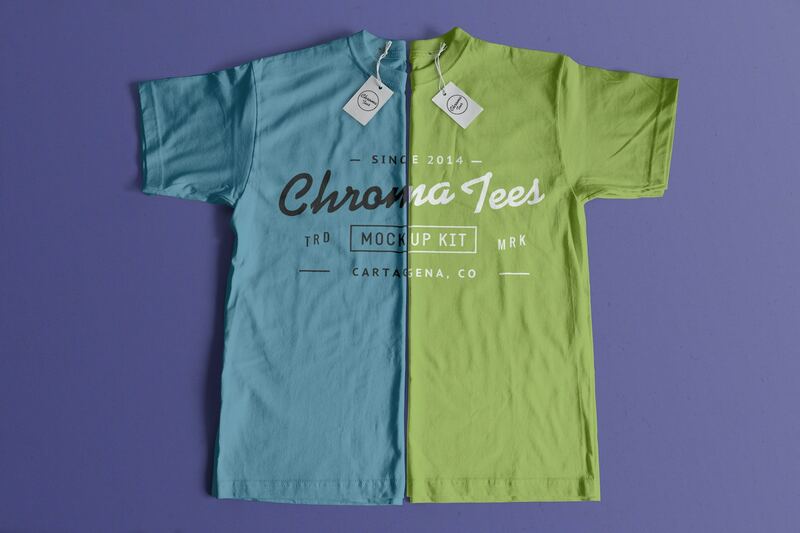 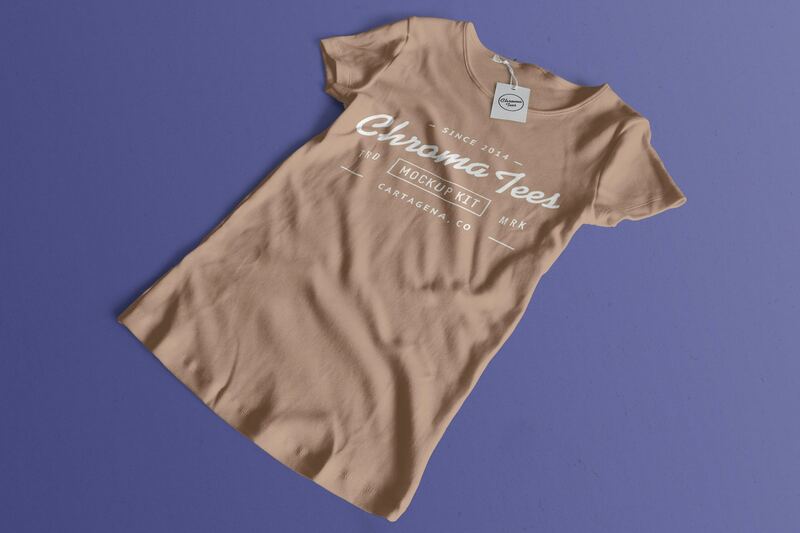 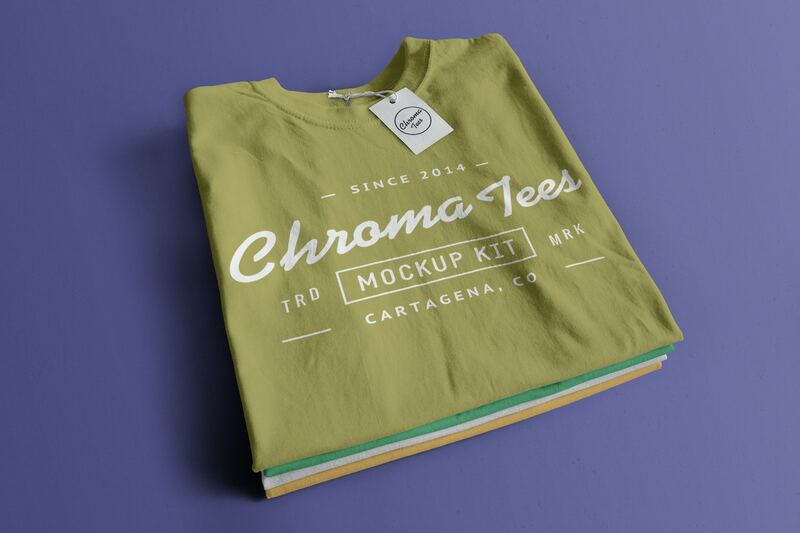 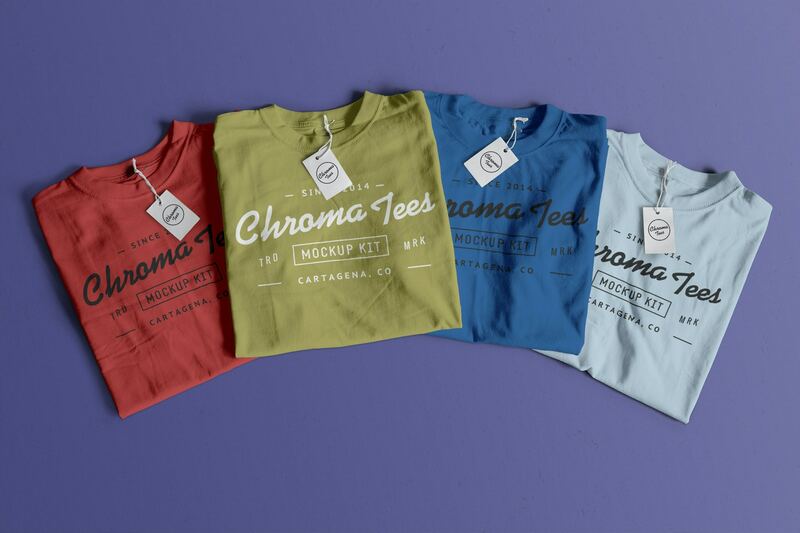 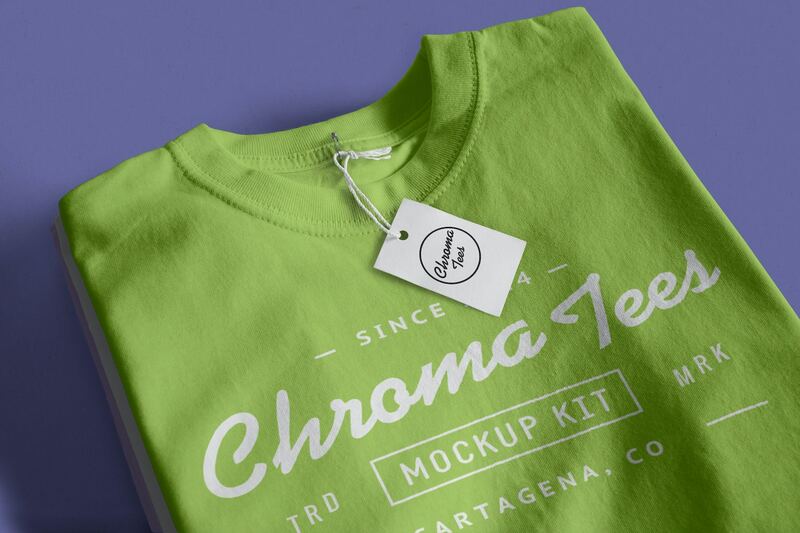 Chromatees mockup kit It is the result of the most innovative collection of mockup scenes for t-shirts that you can find on the web. 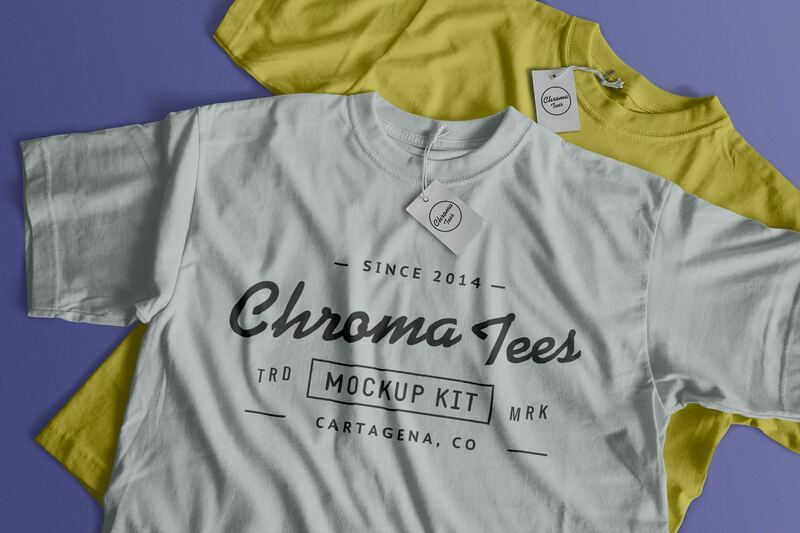 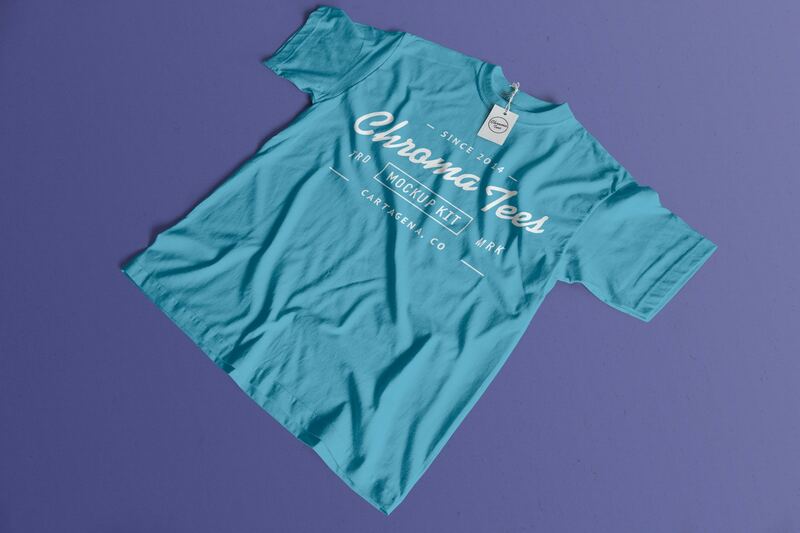 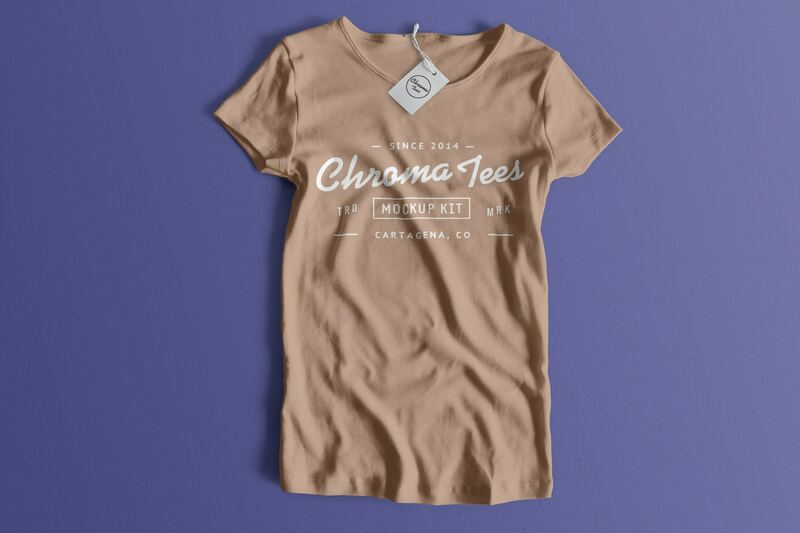 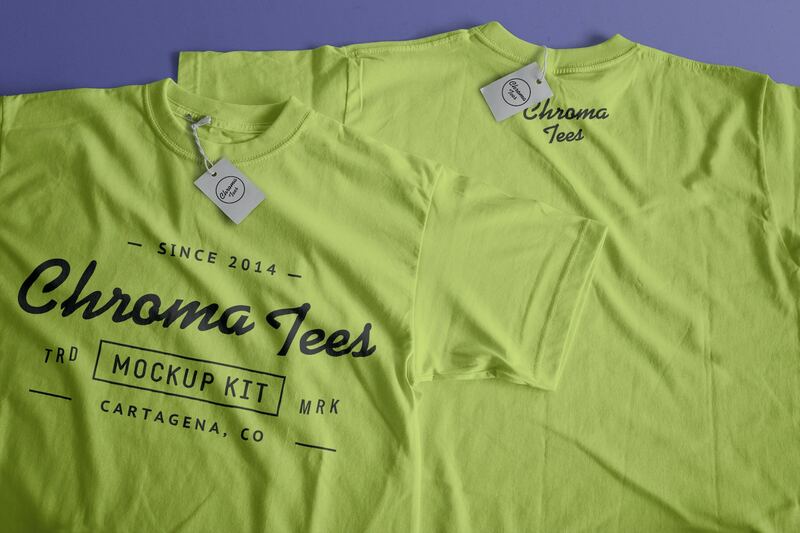 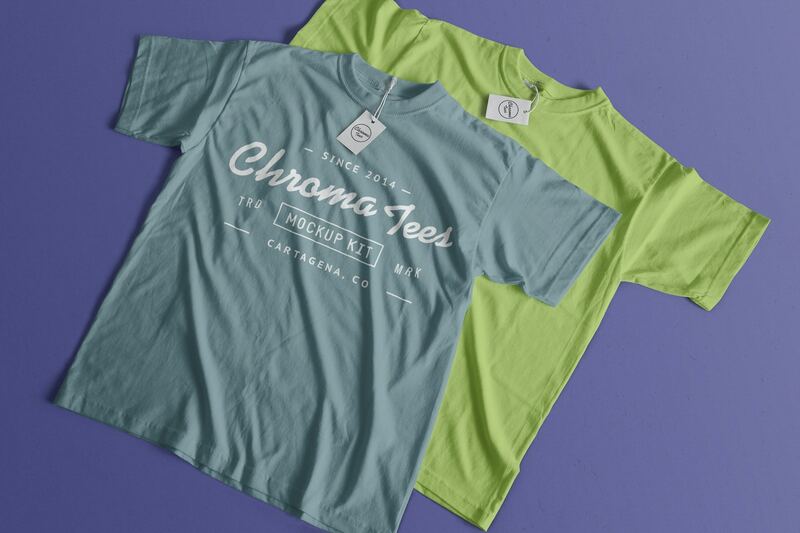 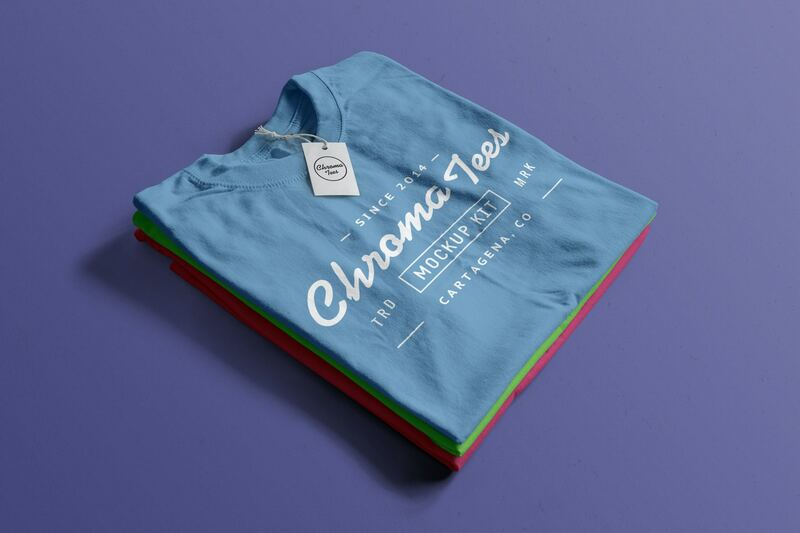 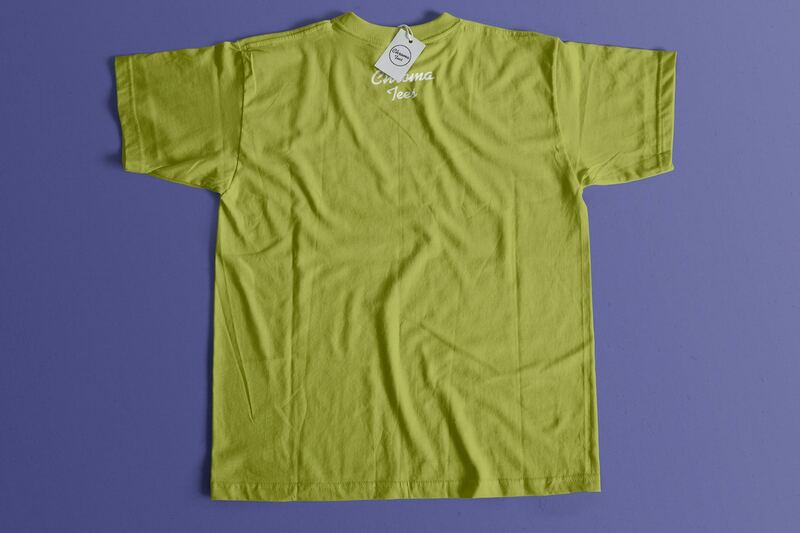 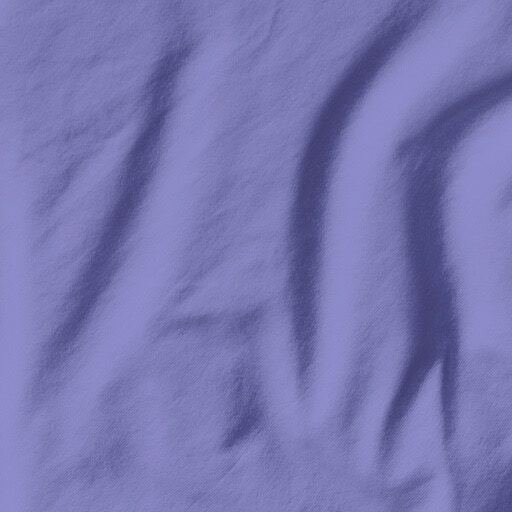 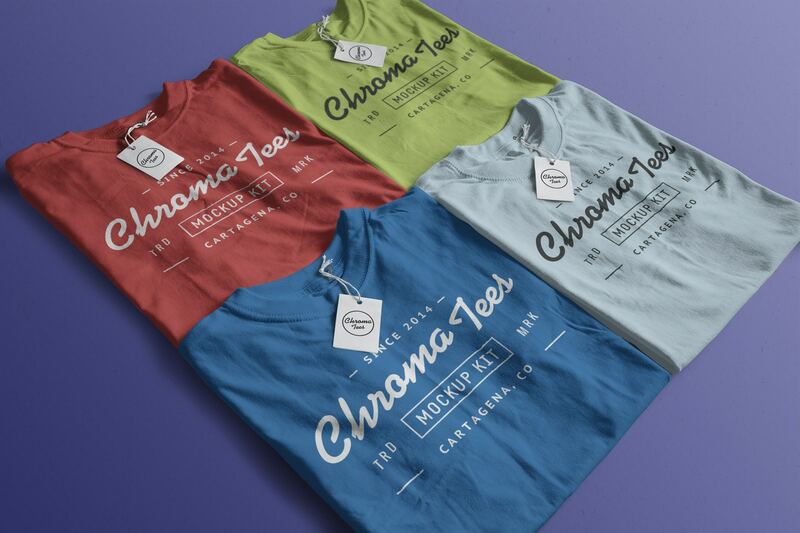 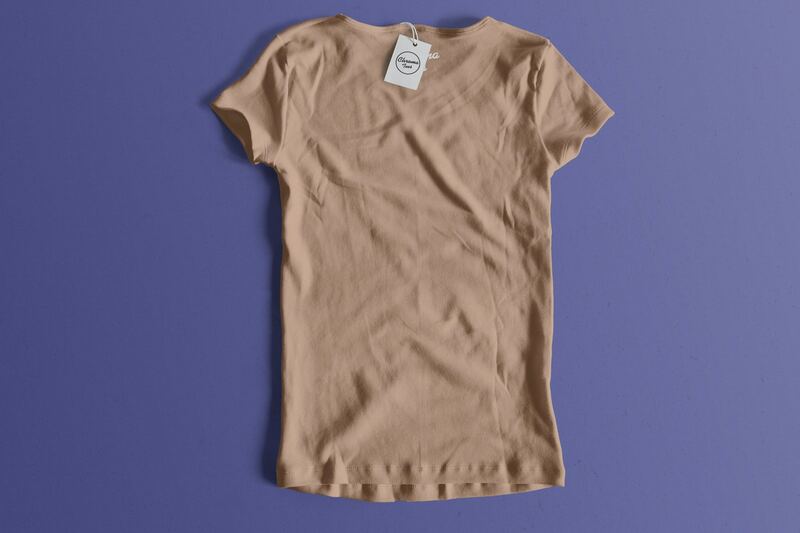 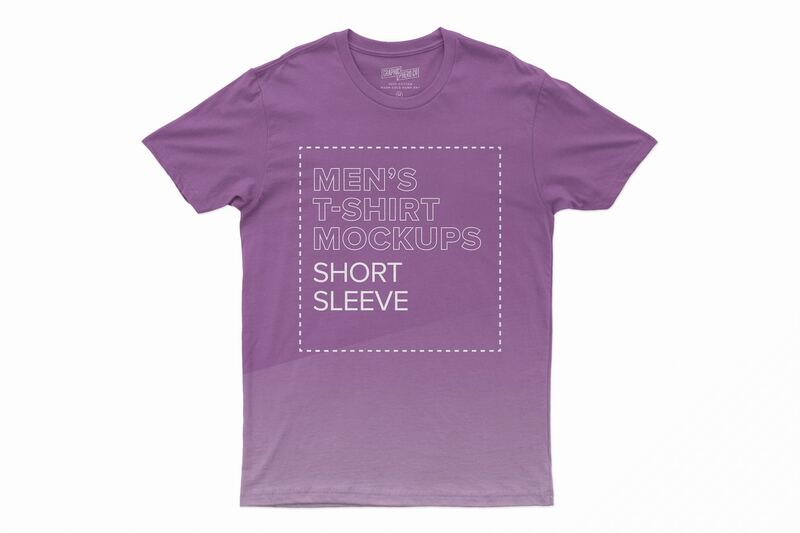 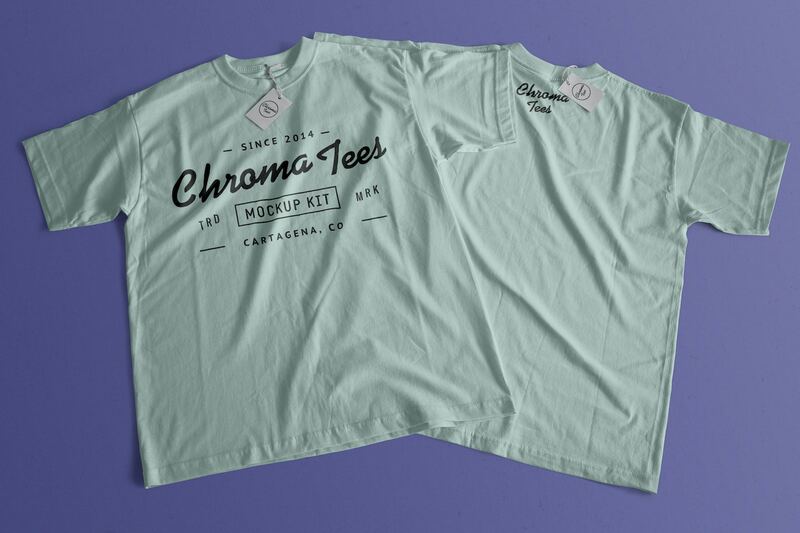 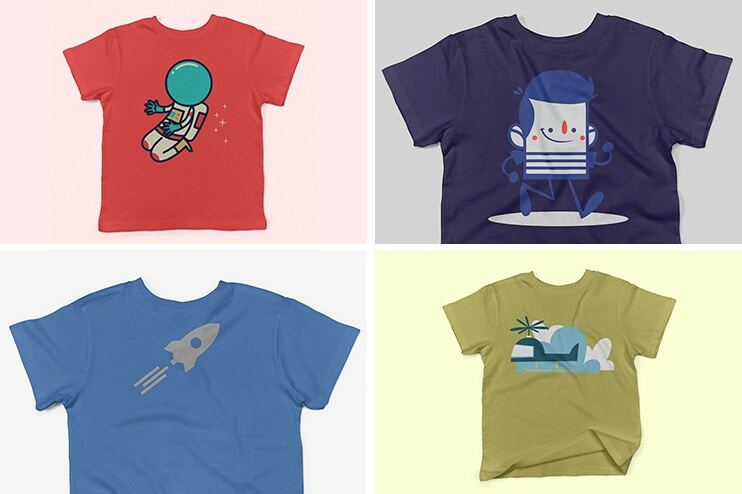 Many mockups of shirts on other sites just limited to the front view and we all know that is not enough, which is why we decided to go further and create Chromatees mockup kit, here, you will find mockups of shirts in different angles and frames to help you to visualize and recreate your work in the best way possible. 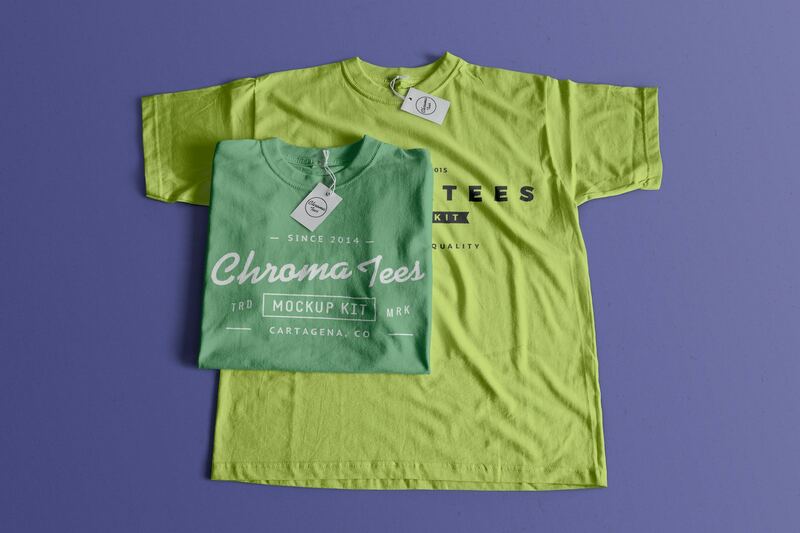 Stacked t-shirts, front and back view of the t-shirt in the same scene and much more will find in this kit in which the color you want will not be a problem since you can pick the color or combination of colors that you like and decide whether You want your shirts with or without sleeves and tags. 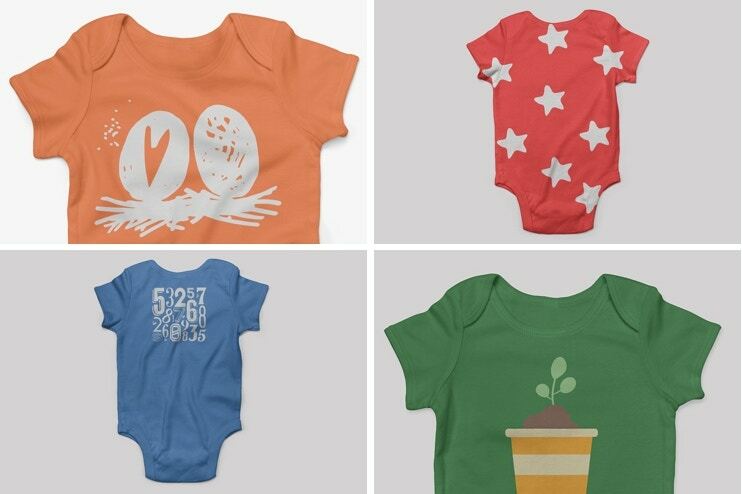 Each PSD file in this package is adequately named and optimized to be easy to use and edit.